This material was not planned, but emerged unexpectedly as an addition to the article dedicated to Quetzalcoatl (Part One of the In quest of… series), who reached the shore of Yucatán Peninsula in the 10-11th century and gave spiritual knowledge, culture and flourishing to Toltec tribes. As you remember, in the said article I endeavoured to find traces of the Primordial Knowledge on the ruins of extinct Native American civilizations, and I intend to continue this work herein. To avoid unnecessary long prefaces, let me proceed to the main point and say that several days after the previous publication I got a short e-mail message referring to North American Iroquois tribes, which have been living for a long time and still live in a cultivated environment in the current US territory. Several images were attached to the message. This is neither a book nor a science work intended to impress readers, gain public recognition or obtain other benefits, so let me get straight to the point. As we remember, the great civilizer Quetzalcoatl left the Toltecs around the 11th century. Legends say he sailed away to the east in the same direction he had arrived from over the eastern sea. Let’s imagine for a moment that the god-king of the ancient Mexicans was Bodhisattva – the teacher of humanity. In such case, what was the sense for him to abandon North America and go back to Eurasia, when South America was right across a little isthmus (the contemporary Panama Canal), which was very close by the planetary scale? You should agree it would have been quite logical for him to leave sprouts of spiritual knowledge on the vast South American continent, where the Andes and the Amazon rainforest stretch for thousands of kilometres, before his ultimate departure from that part of the world. 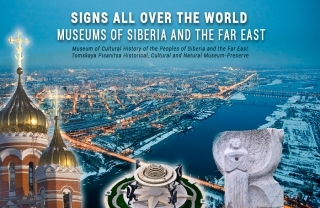 Recently my friends and I, inspired by the knowledge given in the AllatRa book, decided to go on a museum tour across our region in order to receive evidence that the signs and symbols indicated in ALLATRA and other books by Anastasia Novykh are indeed present all over the world. 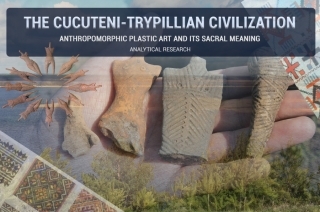 This article contains brief review and analysis of Trypillian anthropomorphic plastic art (hereinafter referred to as TAPA) or, in other words, anthropomorphic items made of burnt clay and associated with Cucuteni-Trypillian archaeological culture. The term anthropomorphic originates from the Greek word anthropomorphos and means “having a human or humanoid image”. 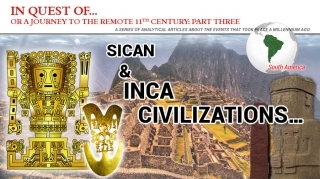 The purpose of this work is to familiarize readers with the aforesaid original culture, as well as to thoroughly extend knowledge of such a unique cultural phenomenon as TAPA. For this we shall analyse it not only from the viewpoint of mainstream science, but also from the perspective of sacral knowledge about the human nature as presented in the books by Anastasia Novykh. Recently many editions have published articles with such headings as New Evidence of Disastrous Extinction of Ancient People Found, Ancient Inhabitants of America Were Killed by a Meteorite Shower, A Meteorite is Said to Be a Cause of the Ruin of Ancient Americans, Ancient Inhabitants of the Americas Could Have Been Obliterated by a Meteorite, The First Americans Were Killed by an Asteroid, etc. 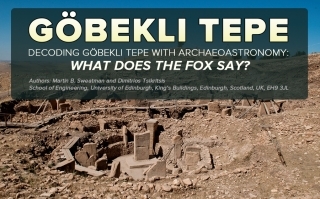 Decoding Göbekli Tepe with archaeoastronomy. What does the Fox say? We have interpreted much of the symbolism of Göbekli Tepe in terms of astronomical events. By matching low-relief carvings on some of the pillars at Göbekli Tepe to star asterisms we find compelling evidence that the famous ‘Vulture Stone’ is a date stamp for 10950 BC ± 250 yrs, which corresponds closely to the proposed Younger Dryas event, estimated at 10890 BC. We also find evidence that a key function of Göbekli Tepe was to observe meteor showers and record cometary encounters. 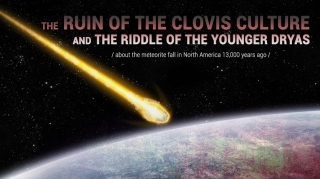 Indeed, the people of Göbekli Tepe appear to have had a special interest in the Taurid meteor stream, the same meteor stream that is proposed as responsible for the Younger-Dryas event. Is Göbekli Tepe the ‘smoking gun’ for the Younger-Dryas cometary encounter, and hence for coherent catastrophism?